Today, I am going to share one of my treat recipes with you! If you’re in the mood for a super wholesome baked good without processed sugar, here you go! And here’s the best part: many of these ingredients can be found in The Natural Health Advocate’s store! These are a perfect not-so-sweet baked good to go with your coffee or tea! Pour the pulverized liquid from the blender into the bowl of dry ingredients and mix. I pull out little globs and smash them onto the parchment paper in different sizes (I like smaller ones that end up a little crunchier, and bigger ones that end up a little softer!). 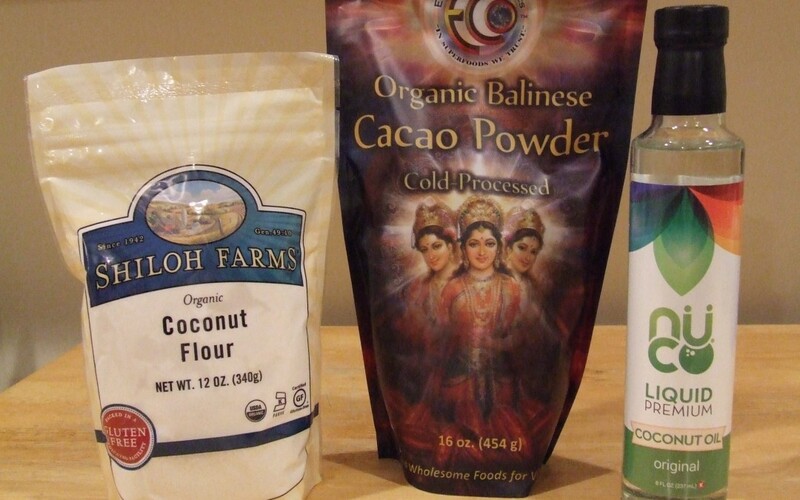 Tip: I have found that adding the Earth Circle Organic Balinese Cacao powder into the wet ingredients and mixed into the blender, versus mixing it with the dry ingredients, helps to spread out the chocolate-y goodness even more! Bake for approximately 15 minutes. Enjoy! I hope you like these little guys as much as I do!